Contacting a patient by visiting, calling, or sending a card, flowers or a gift can often make them feel better and make their time in the hospital seem to go by faster. 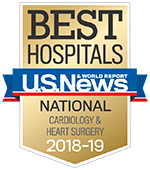 To find out a Frankel Cardiovascular Center patient's room number, call the main hospital operator at 734-936-4000 or the Frankel CVC Welcome Desk at 734-232-4332. While some rooms have phones that allow you to call into the room directly, CVC ICU rooms require you to access the room's phone through one of the numbers above. To send flowers or other gifts, you may call the the University Hospital/Taubman Center gift shop with the patient information and place your order by phone. You may also visit the Friends with a Heart Gift Shop within the Mardigian Wellness Center on the second floor of the Frankel CVC to purchase gifts and flowers (no phone orders, please).